Atlanta attorney Russell H. Hippe, III has practiced law in Georgia for over twenty years. He has extensive experience in all areas of divorce and domestic law. 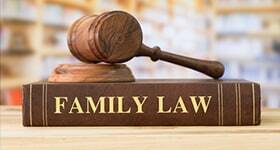 He has successfully litigated every aspect of divorce, from custody and visitation disputes, to alimony disputes, to property division disputes, to post divorce modification and contempt actions. Atlanta divorce attorney Russell Hippe has been recognized by the National Advocates as being one of the top 100 Matrimonial and Family Lawyers in the State of Georgia. He has achieved a ranking on AVVO of 10/10, the highest possible ranking by this respected organization. He has been recognized by the American Institute of Family Law Attorneys as being one of the "10 Best" Attorneys in Georgia for 2015 and 2016. And he has been honored with invitations to speak at ICLE seminars sponsored by the State Bar of Georgia. In February of 2016, he spoke at the ICLE seminar in Nassau on Third Party Discovery Practices. Obviously he enjoys an excellent reputation with his clients, the foundation of his professional recognition. See Testimonials. In addition to Atlanta family law cases, Mr. Hippe handles general civil matters that involve business, real estate and intellectual property litigation. He handles complex business litigation in federal court as well as appellate and bankruptcy cases. He has secured exceptional Results in both domestic and general civil cases. Additionally, he has a background in real estate as a high volume closing attorney (1997-2007 - his firm handled over 20,000 transactions totaling over 2 billion dollars in gross loan value). 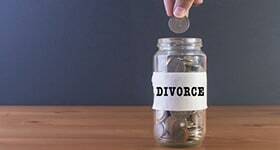 His broad range of professional experience can be of significant value to a divorce client facing a complex business valuation or property division challenge or who may need to consider bankruptcy as part of a long term recovery plan. While he is a skilled trial attorney, Mr. Hippe’s approach to family law is to seek to minimize the drama and expense surrounding a divorce as much as possible. He always encourages clients to try to resolve the dispute in an amicable fashion. This website contains a valuable Roadmap to help divorcing couples try to resolve their dispute in an efficient "uncontested" fashion. However, if a trial is required, Atlanta divorce lawyer Russell Hippe has the knowledge and experience to win. Mr. Hippe can help you with your Atlanta divorce or your domestic legal needs in Georgia by: (1) helping you attempt to secure an uncontested divorce, (2) if this is not possible, helping you come up with a plan for a hopeful early settlement in the context of an adversarial filing, (3) providing exceptional knowledge, service and value during the process, (4) if you are dealing with a problem spouse, getting to the truth of any financial or conduct issues, (5) if needed, providing top trial advocacy, and (6) providing you with the benefit of his broad experience, including his experience in business, real estate, and bankruptcy matters. If you are facing any kind of divorce, family law, or domestic legal challenge, please contact Atlanta divorce lawyer Russell Hippe. Engagement Disclaimer: You are not a client of the Law Office of Russell Hippe until you have signed an engagement agreement and have paid the initial retainer. There is no attorney / client relationship until this has occurred.